If you have been giving some thought to heading to South America for your next holiday, you might be wondering where you should stay for at least a weekend and what there is to see or do. Rio de Janeiro is one of the hottest cities to spend a couple of days in, and is well connected by both road and air to allow for easy movement to and from other regions not just in Brazil but also throughout the continent and abroad. Read ahead for a short guide about spending a weekend in this fabulous city. Without doubt, the beaches of Copa Cabana and Ipanema are two of the most famous beaches in the world and this is confirmed by the fact that they are absolutely covered in both locals and tourists enjoying the hot sunshine and luscious waters. For more relaxed, lesser visited beaches, try out the beaches of Barra de Tijuca to the west or Prainha. Most of the beaches have great amenities including refreshing iced teas served from barrels on the sand, and many have beach bars or restaurants, so you could literally spend every moment seaside. The hills around Rio are understandably ideal for hiking, trekking and general walking. With some truly commanding views around the city and over the beaches, some of these trails take you up to heights with truly awe-inspiring views that allow for great photo opportunities. Perfect for those who like to get a bit of exercise and activity in their holidays as well as relaxation. If you want to see the top of Sugarloaf and can’t make the trails, never fear – there is a frequent cable car that allows you to experience the views without having to dedicate yourself to the trail. 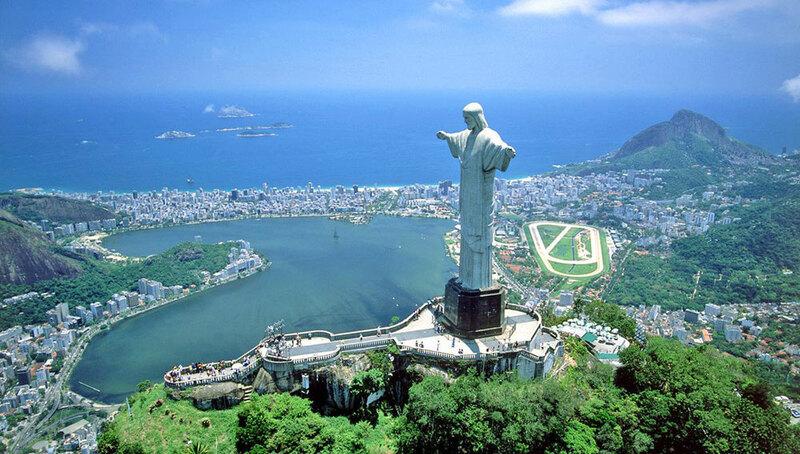 Perhaps the symbol of Rio after the famed Copa Cabana, Christ the Redeemer stands over the city as its eternal protector and eternal tourist magnet. Like many of the other hills around the city, you will find views from the top to be awe inspiring and well worth the climb. Make sure to get a great selfie with this well known statue – a true mark of Brazil’s faith and background of religious culture. So there you have a couple of suggested sights to see on any weekend in Rio. As one of Brazil’s most well-connected cities around, you can get in and out with ease from almost anywhere and it’s well placed for trips to other countries, including places in Africa as well as North America. The sky is almost literally the limit in Rio, so come see for yourself!